We gather every week in two locations, South West Rocks on Sundays at 9am and Hat Head on Saturdays at 5pm (4.30pm for coffee), for an informal service of Bible reading and teaching, singing, prayer and the Lord's Supper. We're always welcoming visitors - and welcoming them again, and again, and again, because we live on the most beautiful, liveable stretch of coast in Australia, and Holy Trinity and Hat Head Village Church are family away from home for people from all over eastern Australia; that is, 'til they stop resisting and make it their permanent home. Why not join us, and enjoy a bit of seaside country hospitality? Around 60 people gather on Sundays for a service that's contemporary in style, with an emphasis on clear and relevant Bible teaching. We sing mostly current Christian songs, plus a traditional hymn or two, with the help of a small band. Regulars lead different parts of the service, and we remember Jesus' death for us each week by celebrating the Lord's Supper. We love welcoming people of all ages and backgrounds, and have a lounge for nursing mums, a toddler area, and activity packs for younger and older kids. Afterwards we enjoy a chat over tea, coffee, and home made goodies. 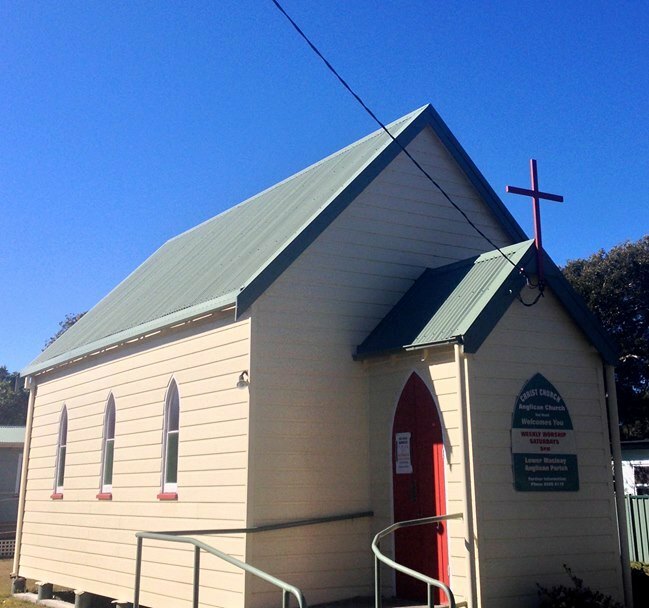 Great informal country atmosphere and a friendly mixed-age bunch, in a tiny classic Aussie bush church - it's cosy if 30 people show up! We read the Bible, there's a message, we pray and sing a mix of traditional and contemporary songs, and celebrate the Lord's Supper together. With such an intimate-sized group, there's time for a joke or two, and questions from the floor are welcome. Children participate in the service, and activity pages, textas and pencils are supplied as well. Why not bring your friendly pooch along, they'll feel right at home with our two regular canine friends!